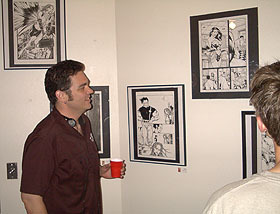 Matthew Clark and Drew Johnson were honored with a show of their original artwork from Superman and Wonder Woman comics. 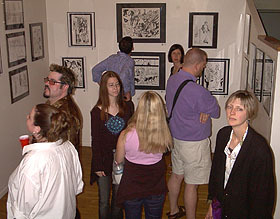 It was held at Pause Gallery in Portland, Oregon. Wine flowed at the well attended soire, and a great time was had by all. Here's some snapshots. 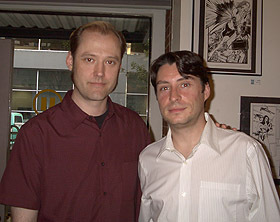 Above: Paul Guinan with Joe Nozemack, Oni Press publisher. 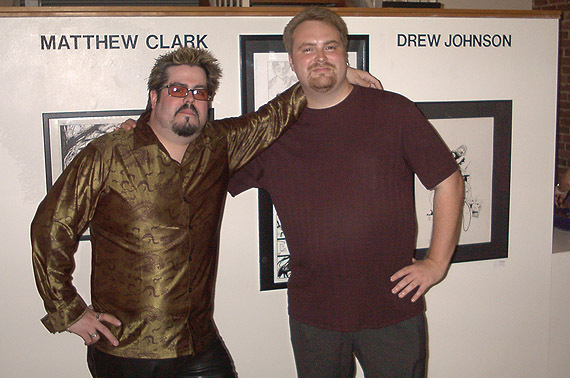 Joe is well known for appearing at such functions in support of the local Portland comics' community. 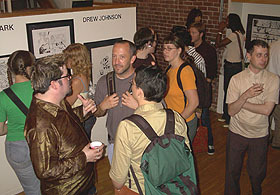 Above: David Hahn examins some of his fellow Mercury member's work--nice framing job! 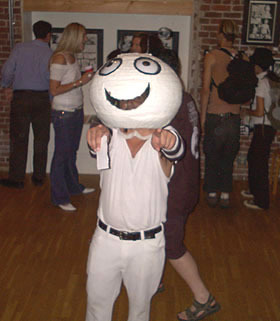 Below left: A typical fan of the artists smiles for the camera.